Hey Everybody! Come read this book I wrote! Let Me Off At The Top! takes a deeper look at the man behind the legend --- his childhood, his News Team and his beloved dog, Baxter. Will I be buying a copy? Sí. And if you don't speak Spanish that means yes. In English. 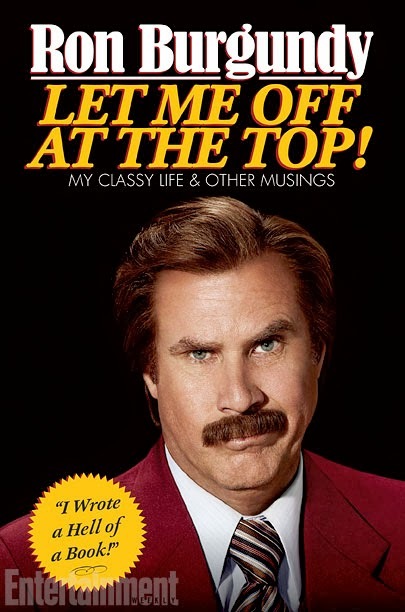 You can purchase a copy prior to the theatrical release of Anchorman 2: The Legend Continues on November 19th. I can't wait for Anchorman 2! Same here! I can only hope it will be half as funny as the first!